The Harrison Public Library Foundation’s Play2Learn Festival drew record crowds to the library on Saturday, September 8. 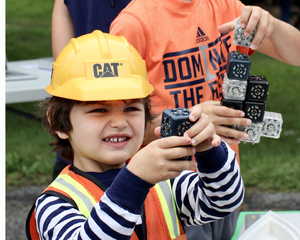 An estimated 3,000 kids and their parents thronged Ma Riis Park and the downtown library itself in celebration of play as a learning process. 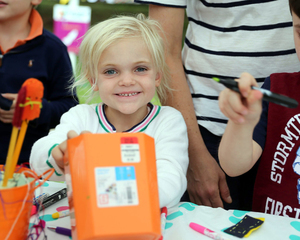 Eight play zones were themed for physical, music, creative, science, make believe, technology, construction, and sensory activities at the festival. 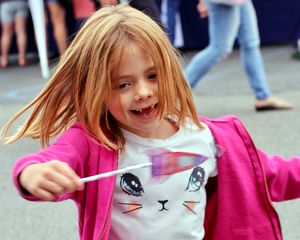 They were full of games, experiments, projects, and experiences for kids of all ages. Parents were encouraged to participate, too, since one of the goals of the annual festival is to expose them to the play-to-learn concept. The Harrison Public Library is at 2 Bruce Avenue in Harrison, NY.